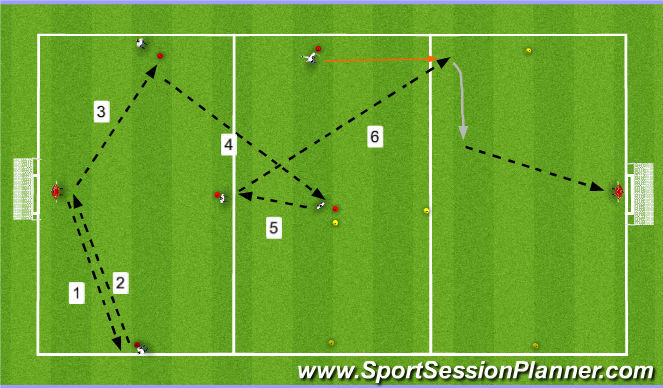 Passing pattern out of the back that leads to a shot in opposite goal. 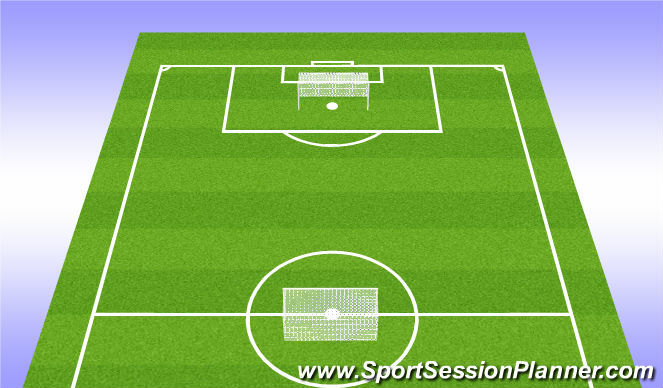 Start with shots to GK&apos;s hands and then progress to trying to score. 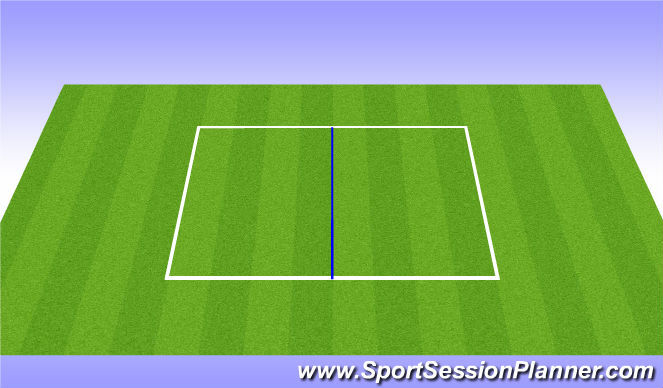 Opposite ends starts their pattern at the same time so two balls are always going. Follow your pass for rotation. Normal soccer rules in each zone as one team attacks and the other defends. Defending team must transition ball into middle zone before attacking other endzone. 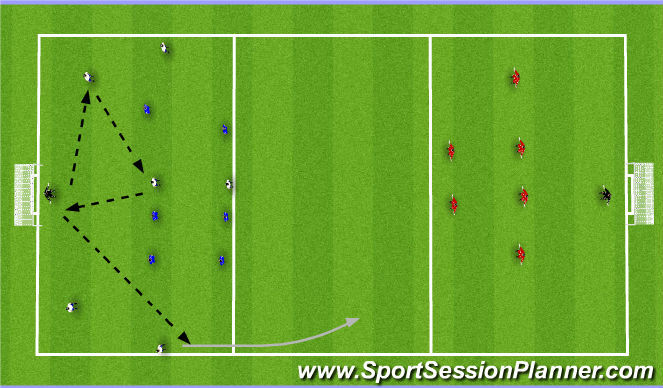 If attacking team scores they keep the ball and attack other end. Blue team scores in big goal --> 3 points. When build out team scores new ball comes in right away from coach to counter-attack.